Wednesday, Jan. 16, 2013, I sat in my Mass Comm 4001 (PR Writing) class not knowing what to expect. I knew that I would gain necessary experience for the field that I plan to enter one day, but I didn’t know to how much experience I would gain. As I sat and listened to my professor recite the course objectives and syllabus, I became aware that this would be a service-learning course. Not only would I have the opportunity to gain experience writing documents that PR professional write, but I also would be given the opportunity to work with a client. The client that my class has been given the opportunity to work with is BRAC, a nonprofit whose mission is to propel the community of the Baton Rouge metropolitan area to a more prosperous economic future. If you are interested in learning more about BRAC, you may click this link here. Working with BRAC has helped shape my view of PR. Through this service-learning project, I have learned the importance of communication in PR. Communication skills are essential to a successful career in PR. 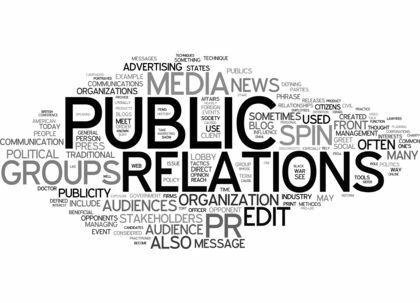 Basically, if you are considering having a career in PR but you do not have good communication skills, then you should consider choosing another field. Here is a link to an article that discusses the importance of communication in the PR practice link. Public relations professionals are in the middle of the communication cycle. The client communicates its message to us. We communicate that message to the target audience through the most effective medium to reach that audience. The audience receives and reacts to the message. Then we evaluate how effectively we delivered the message, and we figure out if the message or medium needs to be altered. Working with BRAC, has allowed me to see the importance of this cycle. So far in this project, we have focused on communicating with BRAC so that we can effectively communicate with their target audience(s). We want the message that we deliver to align with BRAC’s message. This service-learning project has also shown me the importance of building mutually beneficial relationships with clients. This relates to my previous post about stewardship. If you would like to read the post, click this link here. I have realized that Spotlight BR, my group’s PR agency, and BRAC cannot have a successful partnership if we aren’t “on the same page” with one another. For each of us to achieve our goals, we need to have a relationship that functions well. The partnership of Spotlight BR and BRAC has definitely accomplished that. As this service-learning project progresses, I am learning more about PR and what it takes to work in this field. If you want to learn more about my service-learning experiences, continue to follow my blog https://ramonhardy13.wordpress.com/. You can also follow me on Twitter @_Ramon_H for more updates.